What Are Phytates And How Do I Avoid Them? 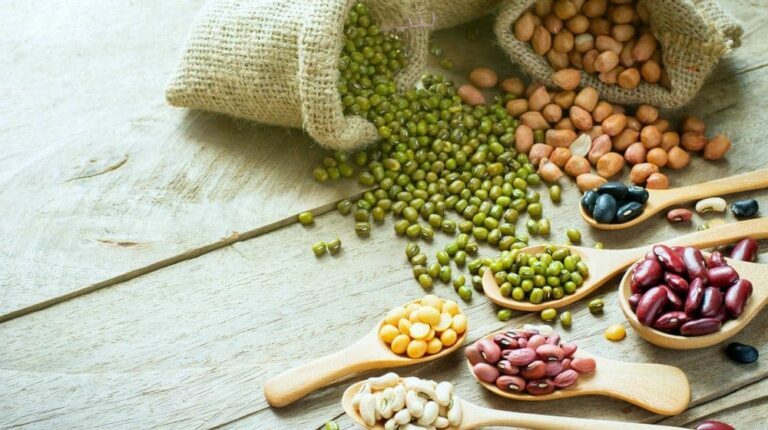 There have been some misconceptions about phytates lately, and it has led to a lot of advice on how to achieve a phytic acid free diet. But are phytates really bad for you? Is Phytic Acid Bad for You? Should You Soak Grains to Reduce Phytates in Food? Phytates are natural, acidic chemical compounds in the bran of grains that some experts say bind to calcium, magnesium, copper, iron, and zinc, making those nutrients less bioavailable and potentially leading to deficiencies. The way around this issue, say authors like Sally Fallon and Mary Enig, PhD in Nourishing Traditions, is to soak, sprout, or ferment grains to neutralize the phytic acid. The way it works in grains is that soaking and sprouting activate enzymes and microorganisms, which break down starches, tannins, and proteins including gluten. This is why many people who are gluten intolerant do well with soaked or sprouted grain. Modern culture has largely abandoned this practice of soaking grain. However, I do not believe (as Fallon did writing her book many years ago) that unsoaked grains pose a great risk to our health, and I also believe much evidence exists that unsoaked grains have also been widely used by healthy populations. In fact, the phytate issue, while worth discussing here, is by no means settled science. Authors Reddy and Sathe published a book in 2001 called Food Phytates that surveys the growing body of research on phytates. They claim that phytates are free-radical scavenging antioxidants that may reduce blood glucose as well as risk for high cholesterol and cardiovascular disease, kidney stones, and some forms of cancer. Don’t be frustrated if you just learned about phytates for the first time and now wonder if whole grains are good for you! If you’re stumped about whether eating whole grains (even unsoaked) is better than white flour, the answer is a definitive yes! First of all, white flour robs your body of minerals, too, at a faster rate and is virtually devoid of fiber and nutrition. 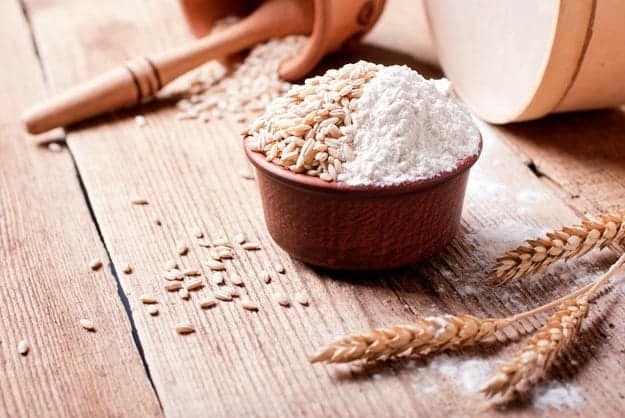 Second, remember that literally hundreds of studies document the link between whole grains and blood sugar control, among many other health benefits. That one benefit alone–that fiber dramatically slows the release of sugars into your bloodstream–is critically important to your future. The phytate issue is fiercely contested in the nutrition world, with some believing that soaking grains is critical, and others believing it’s unnecessary. I have studied compelling evidence on both sides, leading me to the following recommendations. Regardless of whether phytates in whole grains lead to mineral deficiencies, soaking and slightly fermenting your grain clearly aids in digestion. It costs nothing and doesn’t really add time to a recipe’s preparation, although you do a portion of the work in advance. Most adults in the Western world need to be kind to their digestive systems. That’s because before most of us get serious about treating our bodies right, we have abused our bodies with the modern lifestyle. In particular, we’ve damaged our digestive systems. Some of us have developed chronic digestive problems, and many of us have decades of damage to undo. 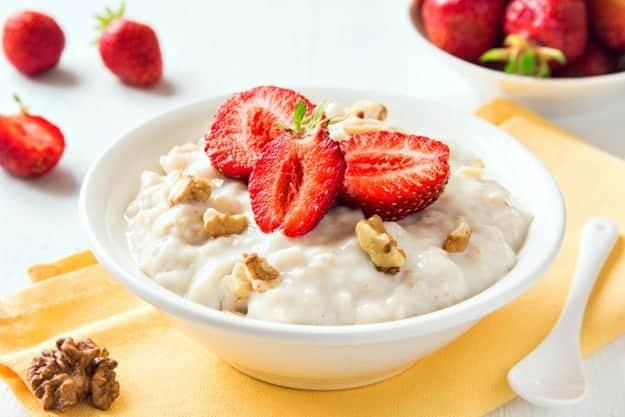 Part of a whole grain habit, then, is to as often as possible soak your grain for up to 24 hours, and add a bit of whey, kefir, or yogurt. Even 8 hours of soaking is very helpful. Put the boiling water in the rolled oats right after eating breakfast. Add a tablespoon or two of yogurt or kefir. Reheat it for breakfast the next morning. It can sit for 24 hours and will be just fine, so don’t worry. If you like sourdough, you’ll probably like the slightly fermented taste. If it’s too much for you, soak it only 8 hours and use a very small amount of yogurt. This habit requires thinking ahead but is worth developing. Unlike oats and wheat, brown rice, millet, and buckwheat have low phytate content, so you can soak them just overnight, for shorter periods of time. When I am serving brown rice for dinner, I put boiling water in it in the morning. I cover it and leave it to steam all day in the oven, preheated to 350 degrees (and then turned OFF). The rice is perfectly cooked at dinnertime. When making kasha (buckwheat cereal), I put the boiling water in the night before, letting it steam overnight. When making baked goods, get in the habit of putting the flour in the blender or bowl with the liquids (with a bit of a fermented dairy product like kefir), and just leaving it all day (or night) before completing the recipe. You’ll also find that your baked goods are lighter, with a lovely texture, as you take this additional step that creates natural leavening. You can often cut by half or even leave the baking powder out when you have presoaked flour with kefir/yogurt added. This extra step of soaking grains or flour, while requiring you to think ahead, doesn’t add time to your preparation, since the dish is then ready, or nearly ready when breakfast or dinner is served. You don’t always have to make soaked-grain bread and grain products from scratch. At your health food store, you can buy sprouted-grain tortillas, English muffins, and manna bread with several varieties like sunflower seed, carrot-raisin, and more. Have you taken any steps to reduce phytates? Share your thoughts with us in the comments section below. Editor’s Note: This article was originally published on April 3, 2008, and has been updated for quality and relevancy. I have to agree with the sprouting process. It isn’t fun for me. I sprouted rye berries and after soaking it for a day I then had the fun task of rinsing and filling the jar up for 3 days. I rinsed it every 4-6 hours. I then let it sprout and it did NOT mold. However, I tried oat groats and they molded quickly and only sprouted on some of them. I really wasn’t trying to sprout them. I just didn’t get them dry enough to put back in the cabinet and part were sprouted and the other part were so molded. jesusgirl: Your oat groats were likely steam treated at the processing plant. This is common practice and they won’t sprout, but they can be soaked. To sprout, you would need to purchase sprouting oats. When soaking, be careful to change the water often, because they can go bad. I don’t believe you necessarily need to fill the whole jar with water for every rinse. Annmarie Gianni of the Renegade Health Show says the sprouts don’t actually need water, they need to cool down, because the sprouting process generates heat. So, they only really need enough water to accomplish this. Perhaps people have been scared off grains by Sally Fallon…aren’t yo doing the same by scaring them off meat, regardless of the huge differences between grain-fed and grass fed? Marshill, there is a difference, to be sure. I’m not scaring anyone off, per se, but rather presenting the evidence for eating more plants.